Written by WILDmonkeyDESIGN on May 14, 2018 . Posted in Business Design, Design, Identity Design, Logo Design. Often when clients refer to “our brand,” they are talking about their logo, not their brand. And some designers, agencies, web developers, marketing firms, and public relations firms claim they “do branding,” but more often than not they’re referring to logo design. One of the best definitions of a brand is from Marty Neumeier’s book, The Brand Gap: “A brand is a person’s gut feeling about a product, service, or organization.” Simple, and yet, so much more than the logo on your business card. We like to talk about a brand as the “total” of all of the experiences, impressions, and knowledge a person has about your product, service, or organization. It’s really about the perceived emotional and functional benefits (that gut reaction) vs. the actual benefits or attributes of your product or service. If you’re in business and have customers, you already have a brand, even if you’re not very clear about what it stands for. 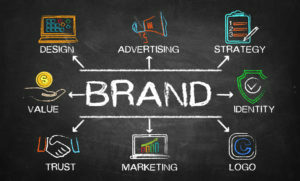 A brand is the basis of your position in the market and your competitive advantage. Your brand should be worked with to define and shape it in the eyes of your customers.